What are the similarities between the way that international sports organizations and international political bodies are organized? Richard Pomfret, Professor of Economics at the University of Adelaide, asks whether politics can learn anything from sport. Global government is difficult. People understand the need for international cooperation and coordination, but are reluctant to cede sovereign power to a world government. Major sports face similar challenges, but with the difference that sports fans favour having a single global governing body. Fans want an undisputed champion. As an increasing number of sports go global with world championships, they need effective global government to guarantee an undisputed champion. Do they offer lessons for world governance? 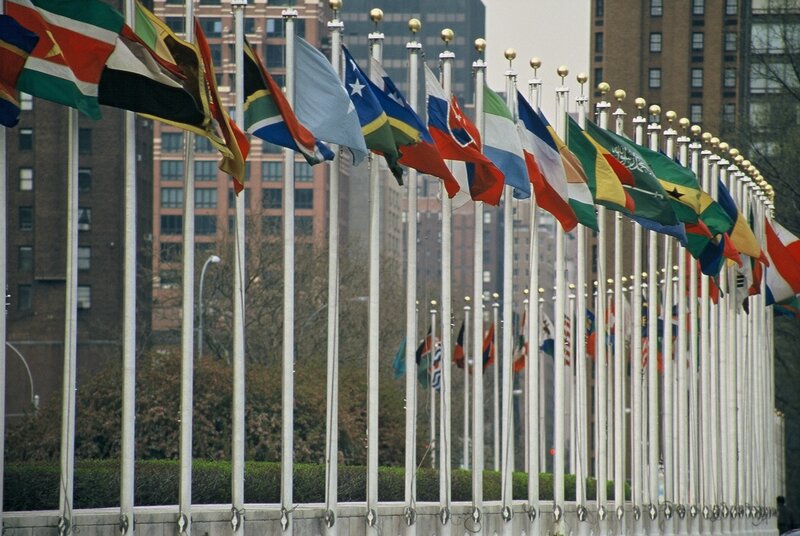 The United Nations, created by the victorious allied nations in 1945, has universal membership. Yet the General Assembly is not the centre of power, because the great powers are unwilling to share equal voting powers with other states. The Secretary-General has limited powers. The five permanent members of the Security Council have vetoes and, although there is discontent over who is among the five, there is no serious move towards one country – one vote. In the financial institutions created at Bretton Woods, the major economic powers of 1945 retain control. Weighted voting allows decisions to be taken, and the IMF and World Bank have been effective organizations. However, there is scarcely universal acceptance of their legitimacy, and they are often portrayed as tools of the leading capitalist nations. The World Trade Organization works by consensus. This acknowledges countries’ sovereign rights, but when a country wields its veto (as India has done in 2014) decision-making fails. Thus, while the WTO is an effective institution for monitoring agreed world trade law, no major new decisions have been taken for two decades. Self-selected groups such as the G7 or G8 evolved to resolve the dilemma between sovereign nations’ demands for a voice and the need for global decisions. However, non-members may not accept G7/G8 decisions. The OECD as a club of rich countries ran into similar opposition when it moved beyond research to policy proposals, e.g on a global investment regime. The latest grouping, the G20 is too large for effective decision-making (should President Putin be invited to the 2014 summit in Brisbane?) and too small to satisfy some non-members (why is Indonesia a member, but other large south east Asian countries are not?). In sum, international organizations are useful, but their role is limited by the conflict between legitimacy and accountability on the one hand and effective decision-making and implementation on the other hand. As long as more than one city or country is bidding for the quadrennial events controlled by the IOC and FIFA, the huge revenues will go to the international body rather than the hosting city or country. The only modern Olympics not to cost the host a large sum was 1984, when Los Angeles was the sole bidder. Other summer and winter Olympics have been the subject of competitive bidding, and corruption scandals. FIFA has honed the soccer World Cup into a money machine for the organization and its senior officials. World Cup bidding has led to serious allegations of corruption. Even more egregious than those cases of individual malfeasance is the institutional generation of rents. Host countries cover virtually all costs of staging the World Cup and retain revenues from ticket sales, but those cover only a small fraction of the costs. FIFA taxes these revenues, demanding extras such as a share of VIP tickets, which are distributed among member associations. More importantly, FIFA retains the advertising revenue, which is the big money, and supports its monopoly over that revenue stream by banning unauthorized advertising in the stadium or on its approaches. FIFA is a member organization in which each national association has one vote. From FIFA‘s large revenue streams, small associations can easily be bought off with money for facilities, allocation of FIFA-sponsored events, and so forth. The VIP tickets, which are often sold for high prices (e.g. a ticket for the 2014 final sold in Buenos Aires for GBP20,000), and other perks also help to satisfy clients. In sum, the incumbent president has huge sources of patronage, which ensure a comfortable majority each time he comes up for re-election. This system is impervious to change because any national association that challenges the system is ostracized. Even the largest and richest associations are unwilling to risk their chances of playing in or hosting mega-events. FIFA limits outside influence by having a strict law against political intervention in national associations, which has been used against countries such as Nigeria. Governments may, of course, subsidize the staging of the World Cup. The combination of large rents, discretionary power and little outside scrutiny leads to poor governance, centralization of wealth and power, and corrupt practices. There is little impetus for change. Any internal challenge to the FIFA president, who controls sufficient evidence to bring corruption charges against insubordinate senior officials (as happened to Bin Hammam and Warner when a challenge was mounted in 2011), appears likely to fail. At the same time FIFA’s large revenues and small running costs permit generous salaries and perks for insiders. The average salary among FIFA’s 412 employees, including secretaries, drivers, etc,, is $220,000. Commenting on the “watchgate” scandal, concerning gifts of expensive ($25,000) watches to officials attending the Rio World Cup final, Michel Platini, president of the European association, saw nothing wrong because “we receive many watches”. Entrenched leadership characterizes other international sports. Formula 1 might appear to be in the hands of the major manufacturers, but even Ferrari has been unwilling to challenge the authority of Bernie Ecclestone. In sports with a global coverage but dominated by few countries there are struggles for dominance, most notably in cricket, and potentially in rugby. We are far from accepting a global democracy with one person – one vote, but that leaves no attractive governance model. The FIFA example suggests that one country – one vote in a world of many small states can easily degenerate into a leader-clients system, and the first leader who is able to coordinate the small countries’ votes becomes entrenched. A dictatorship such as F1 is also unsatisfactory. Governance by the large powers may become unstable if the relative positions of the major powers change, as with India’s rising economic importance in global cricket; similarly, the role of the G7 was challenged by the rise of the BRICs. Other sporting models, such as the enthusiastic amateurs running less commercial sports, have less relevance to governing a complex and integrated world, although they may be the closest equivalent to the UN.